The Kings XI Punjab who had suffered from a defeat in the last two games, hosted the Rajasthan Royals today in Mohali. The hosts finally got things their way as they went on to beat the Royal Challengers Bangalore by 12 runs. All thanks to their all-around performance. After winning the toss, the Rajasthan Royals went on to bowl first. It was Lokesh Rahul and Chris Gayle who gave a good start to the team as they scored 52 and 30 runs respectively. Mayank Agarwal and David Miller made 66 runs more to the team as they made 26 and 40 runs respectively. Jofra Archer snapped three wickets for Rajasthan. KXIP vs RR, IPL 2019 Highlights: Kings XI Punjab Beats Rajasthan Royals by 12 Runs. In reply, Rajasthan Royals lost Jos Buttler lost an early wicket and that proved to be extremely fatal for the team. While Rahul Tripathi kept fighting for the team by bringing up his fifty, none of the other batsmen could stay longer. Apart from Stuart Binny none of the other batsmen could go beyond 27 runs. Binny made 33 runs from 11 balls. The team made only 170 runs and the King XI Punjab won the game by 12 runs. Kings XI Punjab vs Rajasthan Royals Live Cricket Score. # KL Rahul scored his fourth fifty in the IPL 2019. # KL Rahul made his 14th IPL fifty. # Rahul Tripathi scored his first IPL 2019 fifty. # Rahul tripathi made his fourth IPL fifty. # Ajinkya Rahane made an appearance in the 100th match for the Rajasthan Royals. "Very important to get that 10-point mark and I guess it's the right time in the tournament to do that. Its very tough to defend here, the wicket generally gets better in the second half. 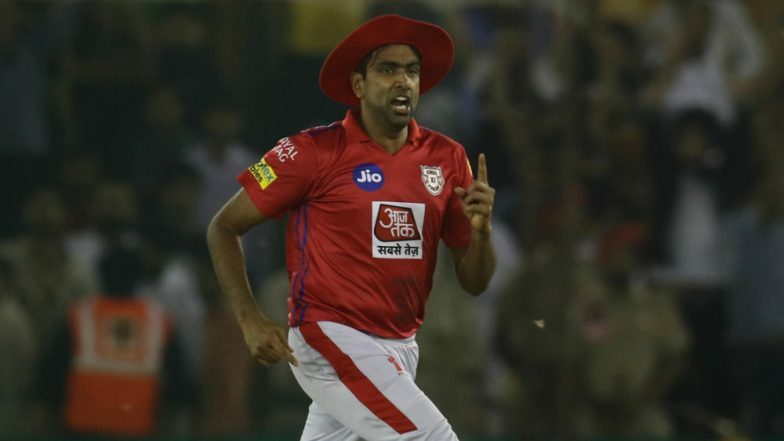 We probably thought we were 10-15 runs short on this pitch and I thought Arshdeep bowled really well in the first few overs," said Ravichandran Ashwin. With this KXIP now stands on number four of the IPL 2019 points table.